Lee Higgins has been dyeing and over dyeing a number of up-cycled garments. 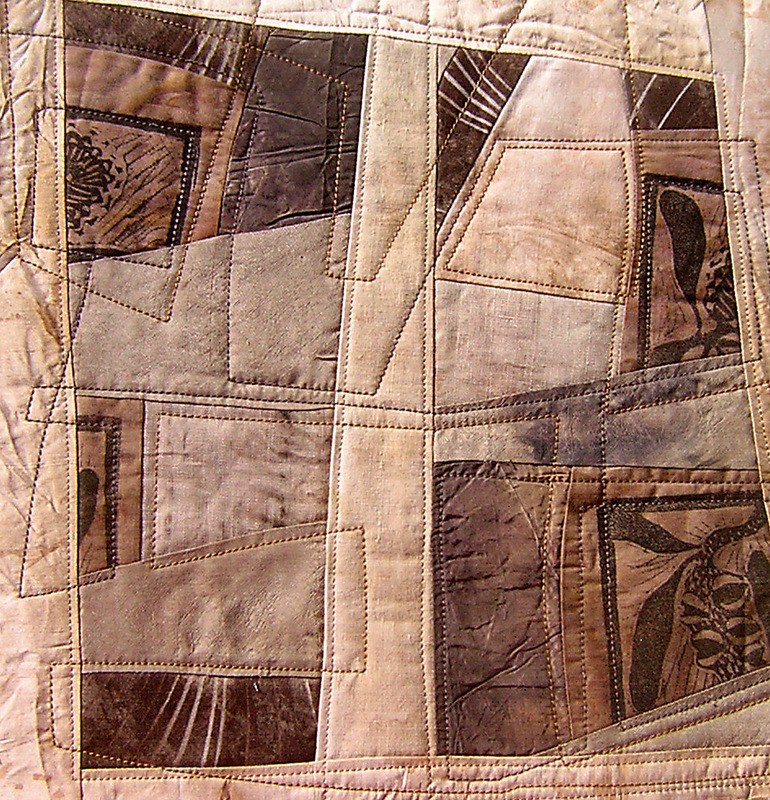 Working with textiles has been an interest of Lee’s from a very early age. 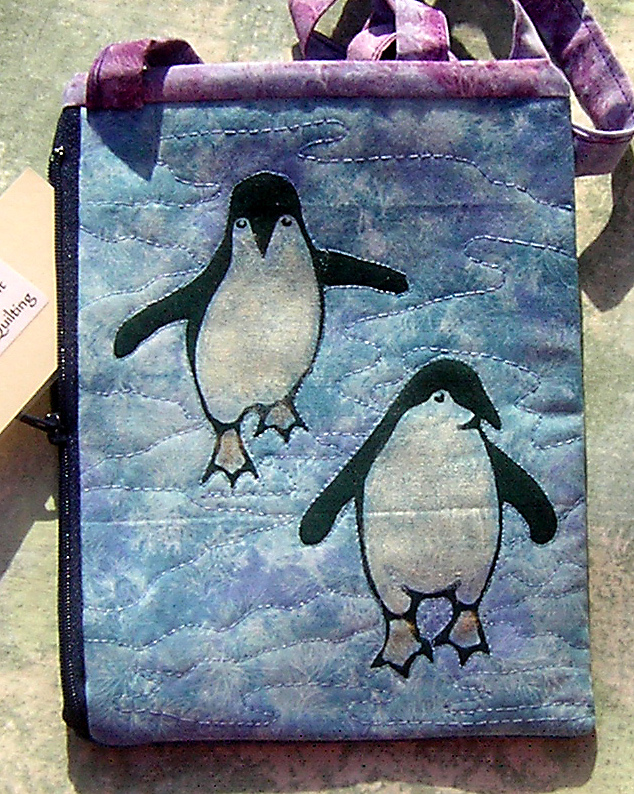 This interest has continued and expanded throughout her life, developing and producing textile work using her own designs. 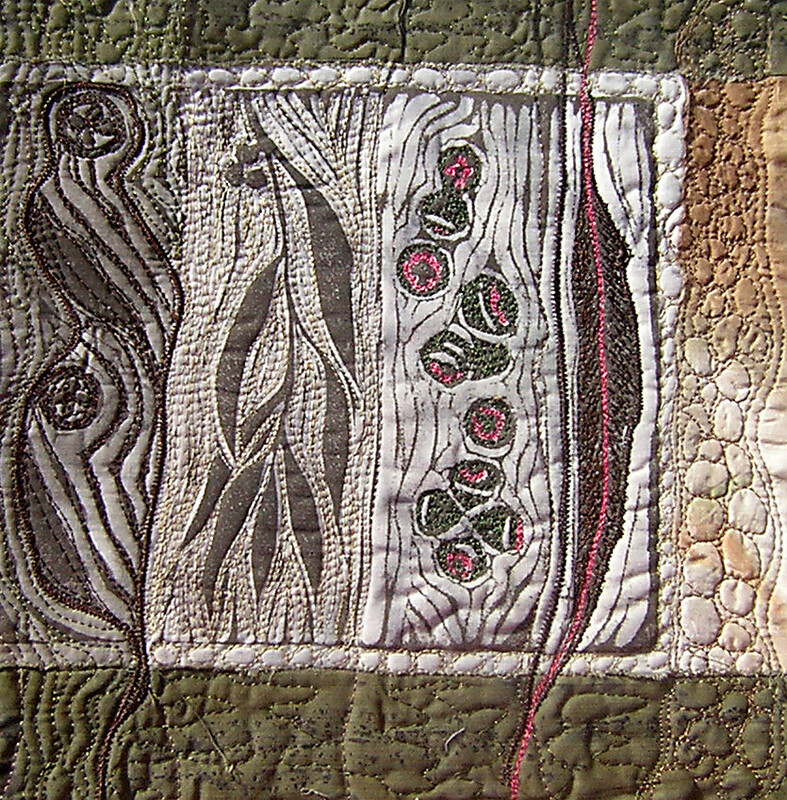 Working in several different mediums including fabric, yarn and felt provides opportunity for experimentation and expanding creativity. Natural materials such as silk, wool, cotton, and linen are the textiles preferred. Working with our small group to explore organic dyeing using local flora has been the inspiration for this body of work. 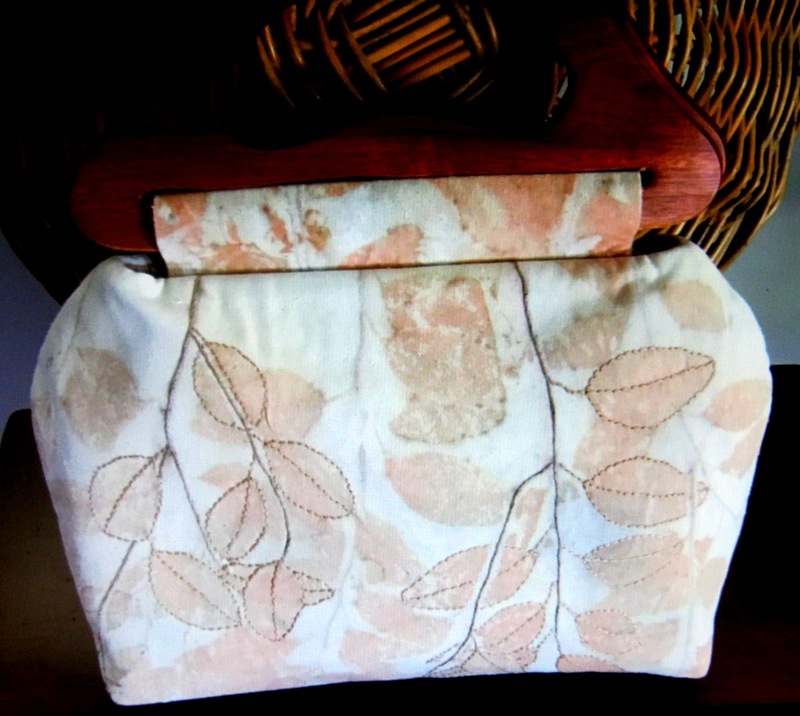 The garments are in a variety of fabrics….linen, cotton, silk and some are a mixture. 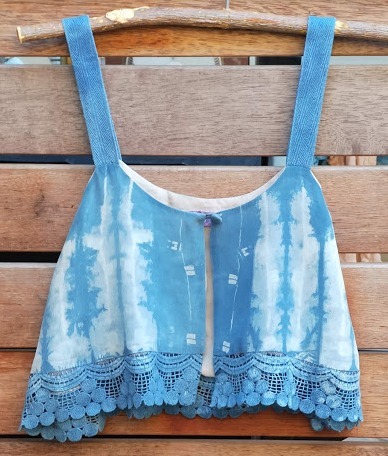 This up-cycled garment has been dyed in a natural indigo vat. Lee was thrilled with the variety of shades across the top. 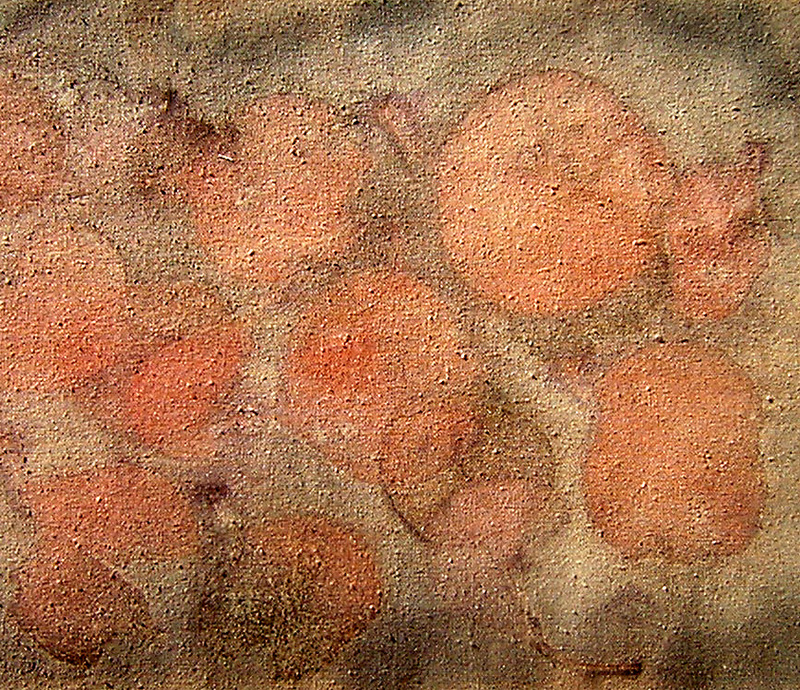 The delicate colour was obtained using grape pressings. 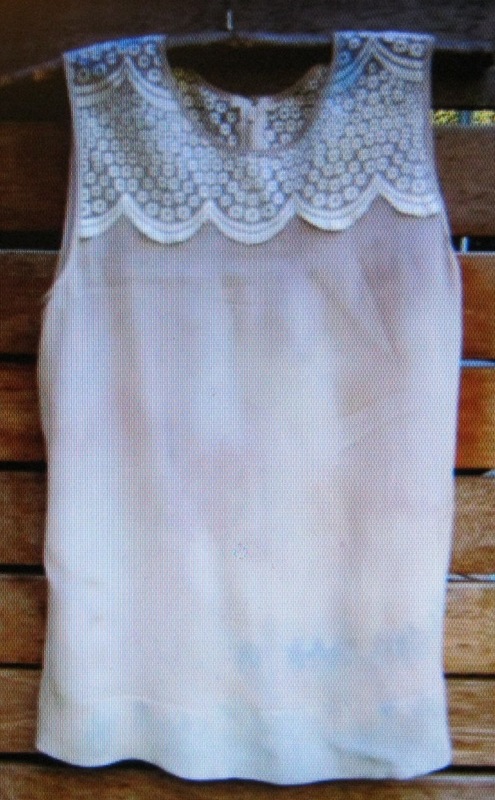 Note the added lace detail on the lower RHS. 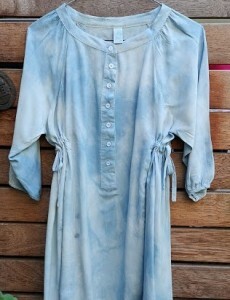 This little top has first been eco dyed then indigo dyed. 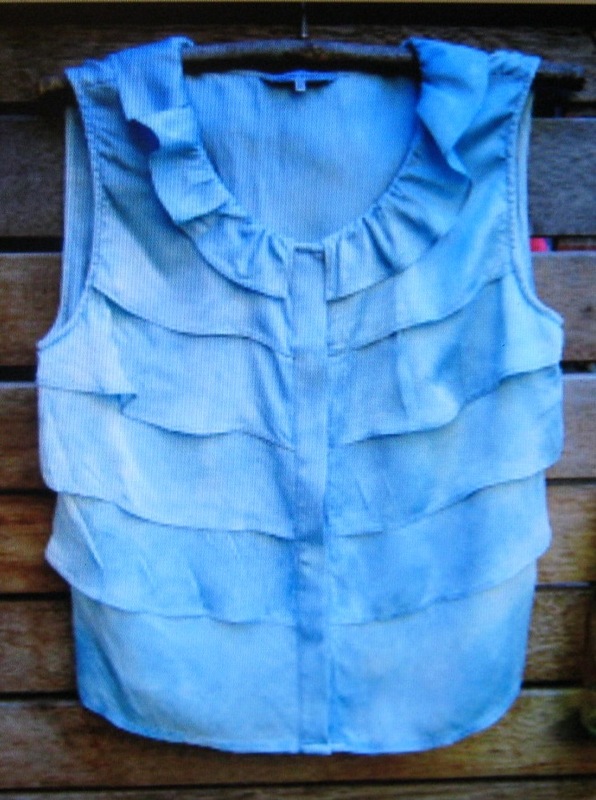 This top was pleated and clamped before being placed in the indigo vat. The effects are delightful. The lace edging really picked up the dye. This is another indigo garment. 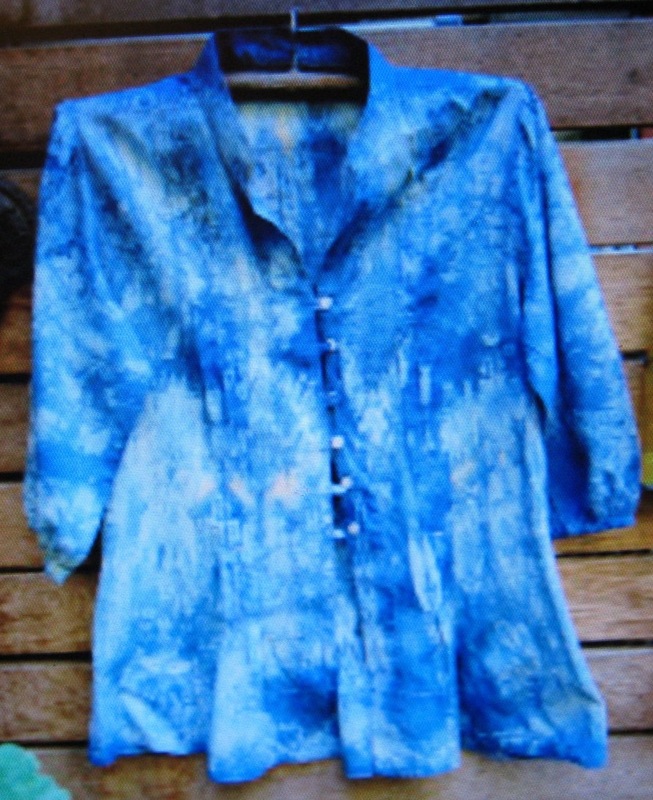 It is interesting how the different fabrics take up the indigo dye. The price for each garment will be $45. This page is showing some of the beautiful work Chris Field has created for the show. 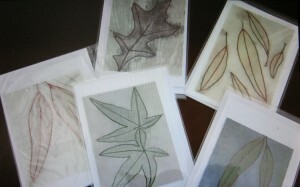 Chris has achieved lovely crisp eco prints on silk and wool. Her main specialty is bags. This photo shows two beautiful shoulder bags with zippered pockets. 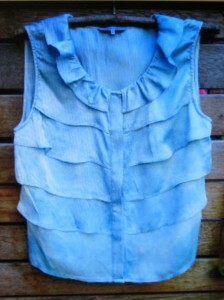 Price: $35. each. The two bags in front, are clutch purses. Price: $25. each. 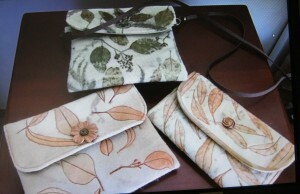 The purse at the back in green/brown tones, has a leather shoulder length strap handle. 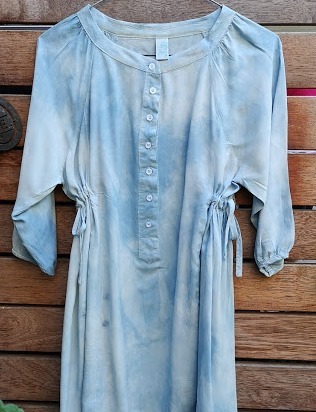 It is $45. These cards feature eco prints of leaves. $5. each. 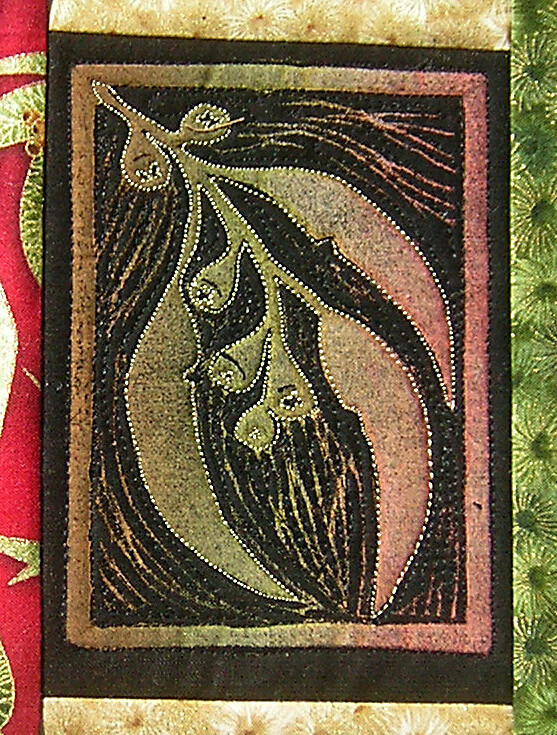 The details have been enhanced with stitch. 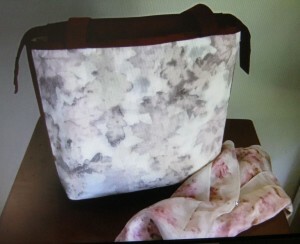 There are other bags with scarves to complement. 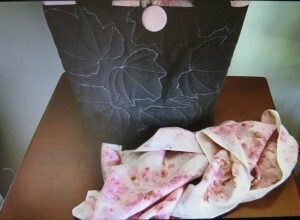 The top bag has been printed with deciduous leaves.The dark grey bag has machine stitched leaf outlines. 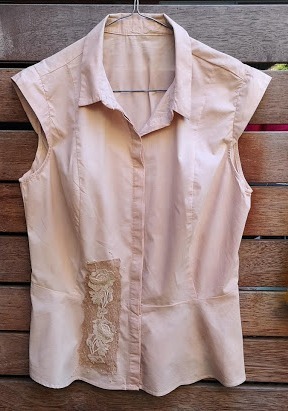 The lining is of printed silk. 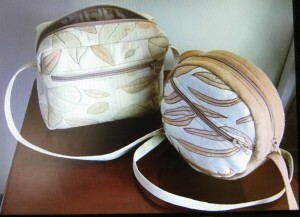 These two bags are $45. each. The silk scarves range in price from $25 – $35. 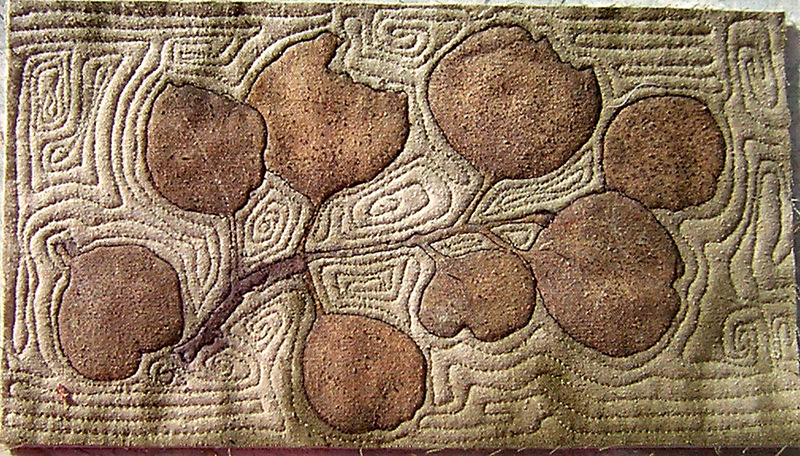 The leaves have been embellished with stitch. Price: $55. 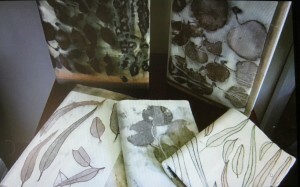 Note how well the silk has taken the gum leaf prints. Note also the wooden handles on this bag. 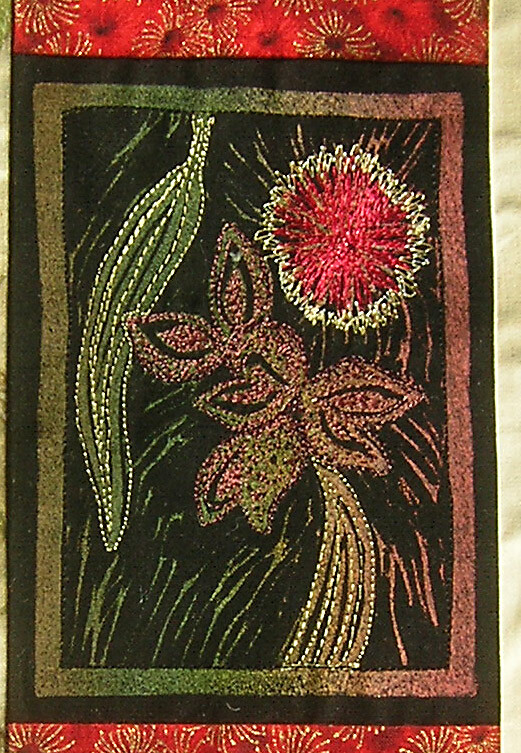 Posted in Products | Comments Off on Work For the Euroa Exhibition.